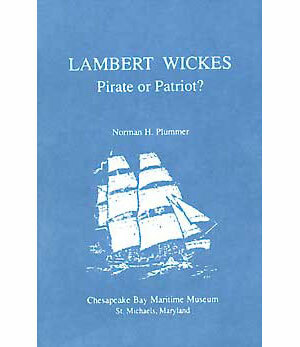 Lambert Wickes: Pirate or Patriot? is the story of a little known American naval hero of the Revolutionary War. Lambert Wickes was one of the first 24 captains in the Continental Navy. He was the first American naval captain to sail into the home waters of Great Britain and to create havoc among British merchant vessels, the first to receive recognition from a foreign governor, and a key force in bringing France into the revolution on America's side. On his ship Reprisal, he carried Benjamin Franklin to France in 1776 as representative of a new nation struggling for independence. After Wickes death at sea the following year while returning to America, Franklin lamented the loss of "a gallant officer, and a very worthy man."